Belarusian Railway is to revive the Visoko-Litovsk/Czeremcha railway crossing on the Polish border. The abandoned facility is scheduled to open in the fourth quarter of this year. The measure is in response to the increased container traffic between China and Europe via Belarus. The Visoko-Litovsk/Czeremcha railway border crossing is located around 50 kilometres northwest from Brest. The facility equipped with both Russian and European gauge tracks was abandoned in 2011. Belarusian Railway will use the revived crossing to handle bulk freight. In this way, traffic via the border crossing of Brest/Terespol can partly be redirected, enabling an increase of container traffic running via this vital border crossing on the New Silk Road. The new railway border crossing will become the fourth on the border between Belarus and Poland. All of them handle container traffic from China to Europe and back. The major border facility is located in Brest. Two other railway crossings, Bruzgi/Kuznica and Svisloch/Siemianowka, are situated in the Grodno region of Belarus. They are less important now but have great potential in the future. In 2017-2018, both facilities became a part of New Silk Road. 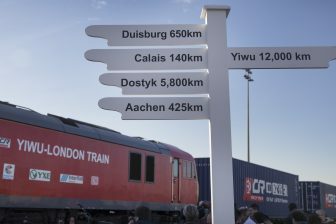 The Bruzgi/Kuznica border point handled the first container train from China to Europe in July 2017. The Chengdu-Łódź train was launched in cooperation with the United Transport and Logistics Company – Eurasian Rail Alliance (UTLC ERA). In March 2018, the mentioned train started to run via the Svisloch/Siemianowka railway crossing located 70 kilometres south from the Bruzgi/Kuznica point. 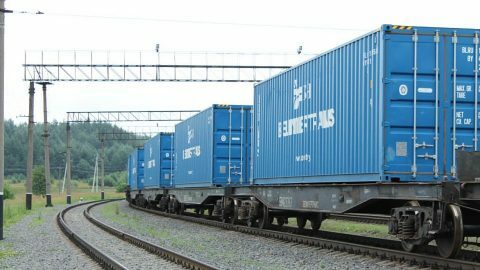 Container traffic on the Belarusian railway network increased significantly in 2018. 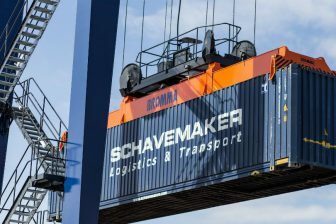 The China-Europe volumes (in both directions) amounted to 314.6 thousand TEUs, indicating a growth of 28 per cent compared to the previous year. The vast majority of the containers (273.7 thousand TEUs) is operated by UTLC ERA. 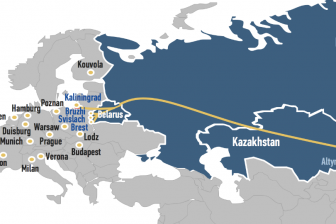 This figure includes transit traffic running on the multimodal route from China to Rotterdam via Kaliningrad.